Come home to a place made for enjoyment. Pass through the controlled-entry gate, park in your garage space, and meander easily back to your residence to unload the day’s finds. Then, the rest of your time is up to you. Unwind by the pool? Start dinner in the outdoor kitchen? Or, simply cozy up in the shaded comfort of your private outdoor patio?  The choice is yours and no matter which you choose, at Avana Sugar Land, it’s always the right decision. Open parking with optional carport and garage spaces available to rent monthly. Hello Alfred-Personal Concierge Service Hello Alfred combines intuitive technology with trusted personal assistance to anticipate your everyday needs and help you save time. Resort Pool and Lounge Area Glistening, resort-style pool with cabanas and an outdoor kitchen that you’ll never want to leave. 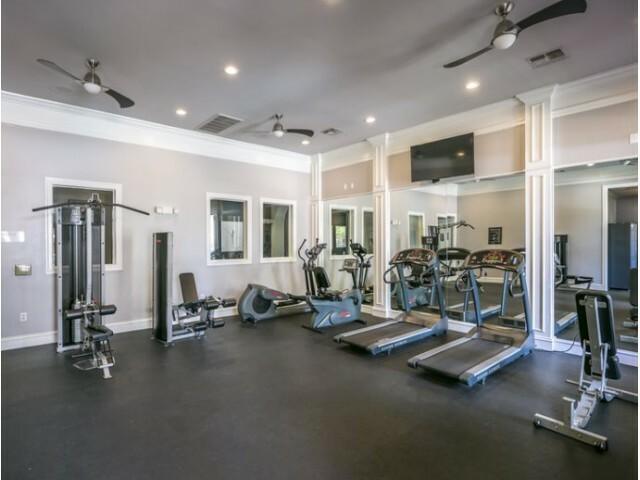 Fitness Center User-friendly fitness center with full cardio and machine training that will get you the results you are looking for. 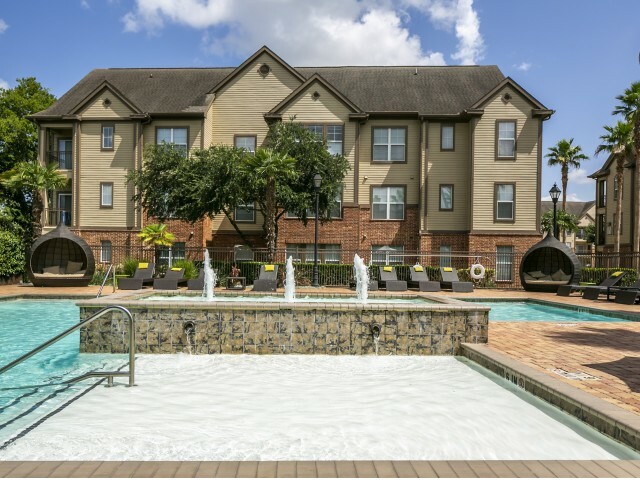 With luxe finishes, energy-efficient appliances, and designer details, Avana Sugar Land creates a personal retreat in which to relax, unwind, and reconnect. Modern Kitchen - Host the dinner party of your dreams in our modern chic kitchens that have dark wood cabinets and stainless-appliances*. Full-size washer and dryer in every apartment home. Spacious walk-in closets and ample storage spaces available in your cozy apartment.